Oh how I love the smell of graham cracker ice cream... mainly because I love the smell of crushed graham crackers, mmmmm, it's just one of those smells where I go to my happy place and envision the taste of a graham crusted pie... mmmm, pie. Unfortunately Friendly's Graham Central Station is a frozen dairy dessert, but I just can't take walking by this week after week after week anymore. It's graham flavor and I just can't resist it. Wait, technically it's graham flavored frozen dairy dessert with chocolate flavored candy pieces and sweet graham cracker swirl. Yeah, let's just call it my graham flavored Kryptonite. Pop the top and I'm excited already. With my very first bites, I want to say there is an artificial note to the whole thing. The graham flavor is nice, but there's an underlying funk to it. I almost want to say it's salty, or maybe I should say a salty note. 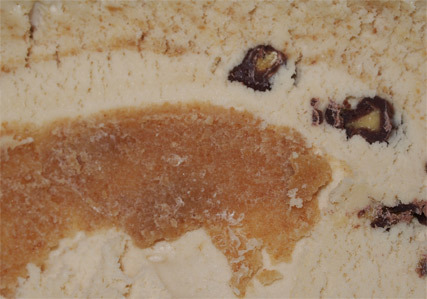 I also can't tell if I'm getting a little bit of an icy texture to it at first, though maybe it's just graham grit messing with my mind ---- yeah, after several servings the "icy" thing is a non-issue for me. 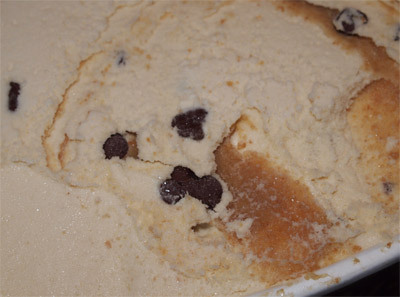 There is definitely a grit to this dessert, but it's graham, it's suppose to be that way. 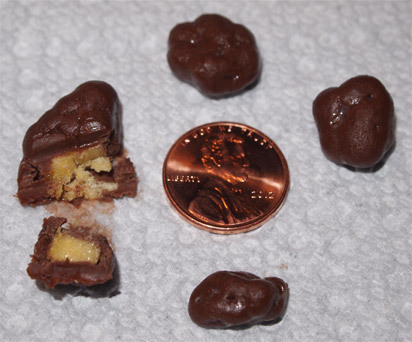 As you an see, there are plenty of chocolate "candies" all over. Now if you get a couple of chocolate chunks together, you can start building up a nice chocolate aftertaste. On first impression, they have that kind of milk chocolate you would find on say a chocolate covered waffle cone. Ok, that just sounds pointless and redundant but what I'm trying to say is that it's a typical decent coating. I'm almost half tempted to scoop them all out and just leave myself with graham flavors. At some point I decided to scoop out a few of the chunks and they certainly proved their candy name. Look how thick the chocolate coating is! If you eat these by themselves, you really will get a blast of chocolate, plus whatever they did to the inside really does keep it crunchy. I was just impressed with how much soft chocolate was coating my taste buds. These are a real nice inclusion, good job Friendly's! So, part of me wants to say "boy this is good" but then originally my other half would something ain't right. Hmmm, yeah, my wife is picking up something strange too. 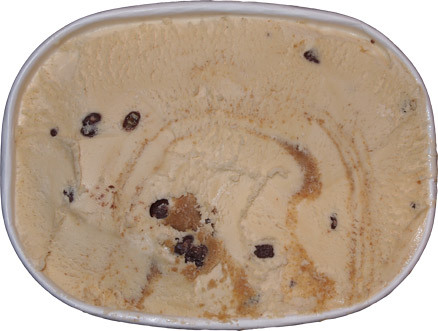 We decide it is that underlying saltiness that can mess with you a bit but you know how I always seem to give a pass to graham flavored ice cream? Yeah, this one is no exception. I've had a nice small serving of this on several occasions now and it makes me happy and isn't that what really matters? I'm not even really caring that it's a frozen dairy dessert. 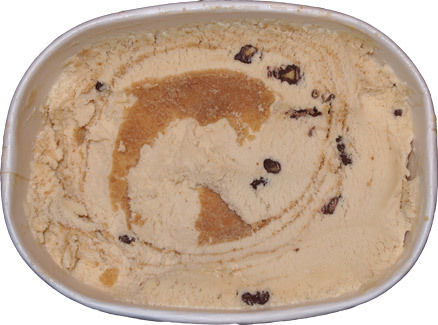 It's a nice graham flavor with a nice graham swirl and the chunks really do mix things up. It's not perfect and I don't care. Verdict? My new favorite graham flavor? 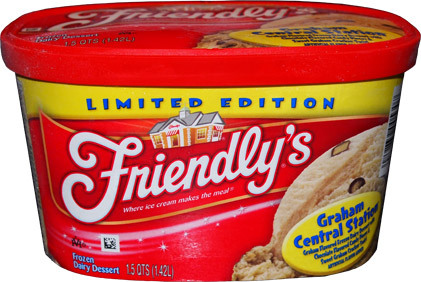 It seems like Friendly's is copying Turkey Hill's Philly smores flavor which is addictive. We are moving to FL where you can't get Turkey Hill so this is GREAT news.The stuff is addictive and yes you will learn to steal the swirl. The stuff is salty, gritty, sweet and amazing! Now I need to find the Friendly's version. this is one of the only dairy desserts ive actually enjoyed but it rivals some of the premiums I've had... It was all over during the summer and I hoarded a few half gallons, but ive depleted my stash and Its already out of my stores. did you pick this up recently or was it stockpiled from earlier? very recent purchases actually, and I just walked by some at stop & shop today. it's really good for a f.d.d. You might want to stockpile, as it is now out at my store and has been replaced by Sundae Nut Football.